The so-called “moderates” are doing the bidding of the oil and gas industry, agribusiness, real-estate developers, and a whole host of monied interests. What happens when the Democrats win total control of a state? California provides a fine example: With big majorities in both houses of the state legislature, plus the governorship and every other statewide office, the Democrats raised the minimum wage to $15 an hour and introduced paid sick days and paid family leave; they increased abortion access; they passed automatic voter registration; they expanded Obamacare and health insurance for poor people; and just before Labor Day they required overtime pay for farmworkers, and established the nation’s most far-reaching targets for renewable energy and limits on greenhouse-gas emissions. The corporate Dems have piles of cash—they spent at least $24 million in the June primary—and several goals. Number one was probably blocking Governor Jerry Brown’s effort to cut motorists’ use of fossil fuels in half by 2030. The oil lobby succeeded at this last year, but failed this term. And three years ago eight mods joined the remaining Republicans to block a bill that would have required big companies to provide medical care for low-income workers and their families who were not on Medi-Cal. 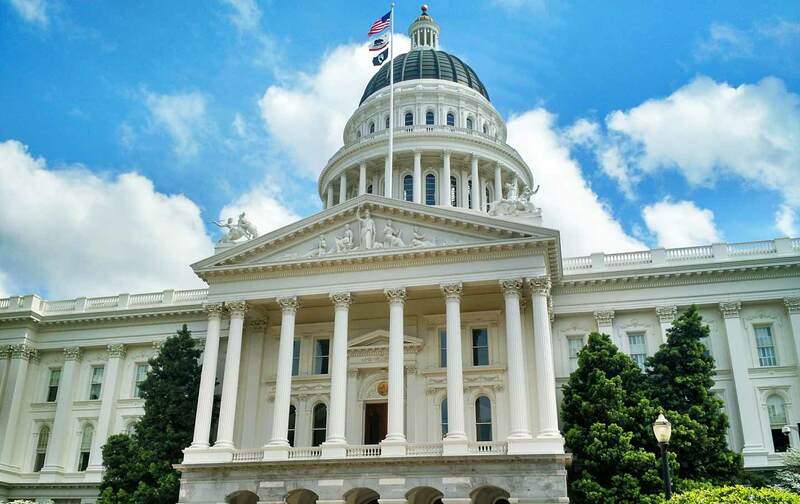 “The bill’s opposition comprised a Who’s Who of California’s most influential corporate interests,” according to Capital and Main, a news Web site reporting on progressive issues in California. Then there’s a group of billionaires led by Eli Broad, fighting the teachers’ unions and seeking to expand charter schools. And there are the real-estate interests who want to end restrictions on development, especially along the coast. And the agribusiness-funded resistance in the Assembly to overtime pay for farmworkers was especially intense and prolonged. Fighting California’s corporate Democrats seems like the perfect issue for Bernie Sanders and Our Revolution, the successor organization to his presidential campaign. Bernie got 1.5 million votes in the state’s Democratic primary, trained tens of thousands of organizers, and raised millions in those famous $27 contributions. Her challenger is an attorney and community activist from Colton, recruited by EMILY’s List three years ago to run for an open seat in Congress; she lost that race to an establishment Democrat. “I worked in the onion and grape fields” as a kid, Eloise Reyes says. Eventually she got a law degree and became the first Latina in the Inland Empire to open her own law firm. She’s worked with Legal Aid, for local affordable health care and against a toxic waste dump in the area. She’s been endorsed by a lot of the local unions, including several that endorsed Brown in 2014—“including the Central Labor Council of the AFL-CIO of Riverside-San Bernardino,” the Los Angeles Times reports, “which represents more than 289,000 workers in the Inland Empire.” She’s also got the endorsement of environmental groups including the Sierra Club and the California League of Conservation Voters, and Planned Parenthood. Nevertheless, Cheryl Brown has big-time endorsements, the kind you get as an incumbent in the state legislature. They include the heavyweights of the Democratic Party in California, and most of the African-American political elite: five members of Congress, including the two African-American women from the LA area, Maxine Waters and Karen Bass; Kamala Harris, the African-American state attorney general who is running to replace Barbara Boxer in the Senate; several of the statewide elected Democrats, plus the speaker of the State Assembly; and 43 current members of the State Assembly. In contrast, Reyes has endorsements from farmworker legend Dolores Huerta, three state senators–all Latinos—and one member of Congress: Xavier Becerra, chairman of the House Democratic Caucus. In the June primary Cheryl Brown got 44 percent and Reyes 36 percent, while a Republican, another Latina, got the other 20 percent (the district is 21 percent Republican, and 68 percent Latino; 52 percent of registered voters are Latino). Both Brown and Reyes are Democrats, but because of California’s “Top Two” system—in which the candidates who come in first and second in the primary run against each other in the election regardless of party affiliation—they will face each other in November and no Republican will appear on the ballot for that seat. “Top Two” is the main reason why the corporate interests have given up on the Republicans in the state and instead started funding their own Democrats—like Cheryl Brown. There is a lively Bernie Sanders group in the district: “Inland Empire for Our Revolution.” Bernie held a rally in San Bernardino in May and more than 5,000 people showed up; on primary election day in June he got 77,000 votes in San Bernardino County, 44 percent of the Democratic total. “A lot of the Bernie people voted for Eloise” in the primary, a local labor activist working with Reyes told me. And Reyes was a speaker at the kickoff event for Our Revolution in Fontana—at Bud’s Pizza. The political battle for the future of the state continues. If Eloise Reyes defeats Cheryl Brown in San Bernardino, that will put the remaining corporate Dems in the Assembly on notice: They will be challenged in two years, and could face the same fate. Our Revolution is now part of that fight.